Introducing Pansies and Parasols, our second Special Edition design collection. What looks like an extremely difficult quilt to create is simply multiple embroidery designs stitched together. 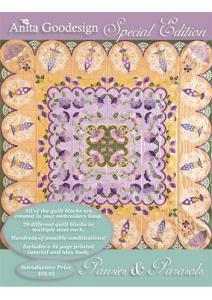 Each of the individual quilt blocks are created entirely in your hoop!